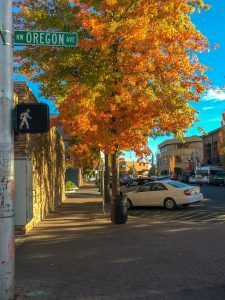 I don’t know about you, but I’d never heard of Bend, Oregon before September. So when a friend told us that we absolutely had to check out the town on our travel year, we were both intrigued at his enthusiasm. Why was he so excited about such a small town in the middle of nowhere? Our curiosity got the better of us, and we made our way north from Denver. 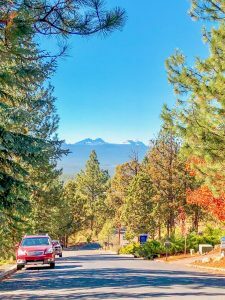 If you read our Nomad Life: The Good, The Bad and The Ugly post, you’ll remember that Bend is a small town in central Oregon of about 90,000 people. 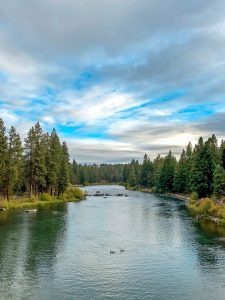 East of Portland and the breathtaking Cascade mountains, Bend is technically in the desert, although the beautiful Deschutes River runs through the city itself. Bend, which didn’t become a city until 1905, was founded as a logging town – which makes sense as I have never seen so many pine trees in my entire life (We couldn’t go anywhere without Markus, ever the soccer player, kicking the pine cones as hard as he could down the sidewalk – I spent a lot of time in Bend dodging those things!). 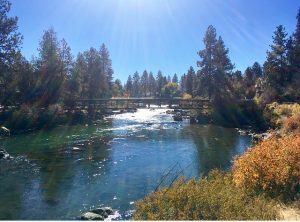 The original settlers of the town actually wanted to name it “Farewell Bend”, after the curve in the Deschutes River they would say “farewell” to as they travelled on, but the post office deemed the name too long, and so Bend it was. But daytime came and went, and I didn’t change my mind. 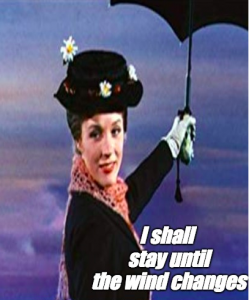 To all you family and friends reading this, no need to worry – we actually haven’t made any moving decisions at all. But there are just many things to love about Bend. In addition to the storybook-like feel of the town, the people there are so friendly and outdoorsy. 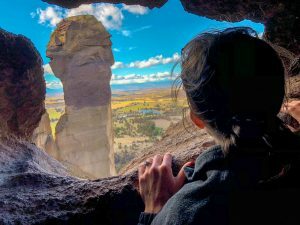 With the vast amount of hiking, mountain bike trails, rafting and kayaking available, the city is becoming more and more popular for outdoor sports enthusiasts – so popular, in fact, that eight new people move there every day. For a town of only 90,000, 56 new people a week is nothing to laugh at. And most of these people also seem to be our age and to like the same things as we do. One of the first days there, I went to get my hair cut, and I told the hairdresser about our travel year. Ready for the “Wow, that’s so cool! What a crazy thing to do!” response we’ve become used to getting, I was surprised when she said, “Oh, my husband and I did that last year too.” A little put off at her lack of response (I was used to being cool, come on lady), I thought it was just a strange coincidence that we both did similar things. Fast forward a few weeks later, and we had met so many people in Bend who had also spent a year traveling – we were just one of many! 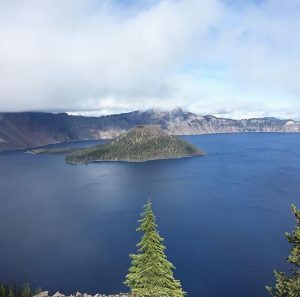 Turns out that Bend is a haven for remote workers (workers who don’t have to go to an office) – and remote workers have the ability to travel. 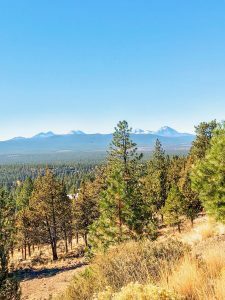 Many people come to Bend for those mountains and trails. And listen to this crazy story: One day, when we were heading back from lunch at our coworking space and talking in German with each other as we normally do, a guy sitting behind us stopped us and said: “Is that German you guys are speaking?”. We said yes and explained where we were both from (side note: sometimes I don’t tell people that I am actually American after they’ve heard us speaking German, and then they are really impressed with my English language skills. One guy on a plane told me one time, “You speak English really well, but you can still hear a bit of an accent.” He was rather embarrassed when I told him I’m from St. Louis). Anyway, the guy who stopped us said that he recognized German because his wife was from Austria and he wondered if we were as well. Turns out that he had done a travel year (I told you, we were really boring in Bend) and met his now-wife in Vienna. We were so excited – it was like us, in reverse: an American guy and an Austrian girl! We made plans to meet up with him and his wife for dinner that night, and ended up having a great time. 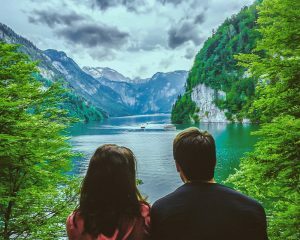 There’s just something so nice about talking to people about things you have experienced that most others haven’t – the stress of the green card process, the frustrations of an American living in Austria, and the frustrations for Austrians living in America. We ended up staying at dinner for about four hours, complaining about the others’ country, and laughing almost the entire time – which is not something that happens often with people you only met three hours earlier! 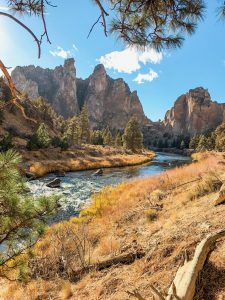 One of our favorite hikes near Bend – Smith Rock. The big stone is called Monkey Head, since it looks like a monkey. But that was just another great thing about Bend. Everyone we met was so open to being friends. 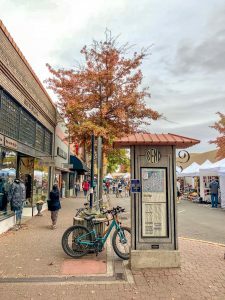 Since so many people were new to the city themselves, everyone was looking for people to connect with. In fact, the first time I went to the gym, I was invited to a baby shower for a girl I’d never met. We went to a pumpkin carving party at one guy’s house, and the other girls there invited me to a girls night the following week. We also found out one of my friend’s sisters had recently moved to the area, and went out with her and her boyfriend one night for dinner. So many new connections! Before we moved there, I was nervous about not having friends in a new city, because, as my cousin/best friend Carolyn said to me, “No offense, but I wouldn’t want to be friends with you if I met you there. No time for people who are only there for 6 weeks.” (That’s the difference between friends and best friends – brutal honesty.). 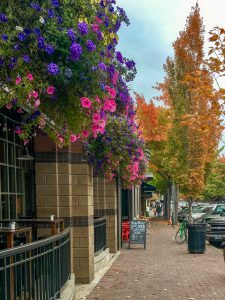 But the opposite was true in Bend – I felt like that if we would have stayed, we would have made so many good friends. Everyone there was new, looking for friends and liked similar things as we did – travel, working remotely and outdoor sports. It was a very good foundation for friendship. 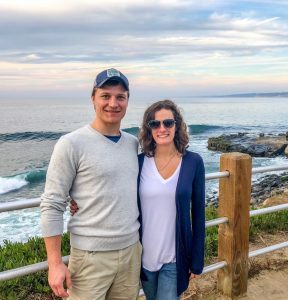 Follow our Instagram,Twitter and Facebook to stay up to date on our San Diego happenings – we’ve really been enjoying the city so far. Thanks for being part of our journey! No need for hat and gloves here! Breweries: Too many to choose from! Bikeability: Great – they have a nice bike share program and decent bike lanes. Riding along the river is beautiful. This is so awesome! Happy for you guys! Thanks Colin! Sorry for the slow response, I just got notified about all our comments which I had never seen! Hope things are going well in Boston! 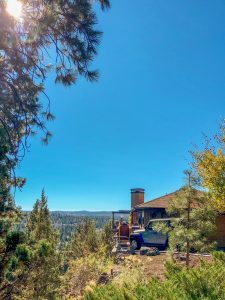 I had heard great things about Bend, and you certainly found them to be true, although we may not be in the main demographic there. Now, San Diego, our hearts are there, not in San Francisco. 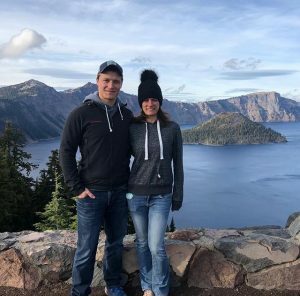 Benjy and Kat can give you loads of ideas of where to go, what to do, where to eat, the breweries, the wine country in southern California – they really loved it there. They are now in Houston, and just moved in to a gorgeous house they had built, which was one of the main reasons they left SD, houses being totally unaffordable, unless you win the lottery. Happy Thanksgiving to you and Markus, and can’t wait for your next post! Thanks Aunt Lisa – Benjy gave us a lot of good ideas! Sorry for the slow response – we weren’t getting notified about comments, but it should be fixed now. Hope you guys had fun in Houston visiting Benjy and Kat!